A great way for students to check off necessary items in their journal entry. Statements are phrased in "I Can" statements that are easy to follow. This can also be used during writing conferences for teacher and student to look at together. This is a rubric that can be used for teachers that use daily journals as their bell work. It is a rubric that is meant to be used for a journal check in which multiple journal entries are being turned in at once. Just asking students write about their thinking in a math journal is not enough, we need to show them "how" to and use a math journal rubric for scoring their work to show them how to make it an exemplary answer. Here is some I created for your use. 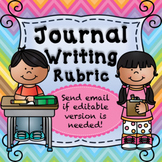 Use this rubric to assess students writing in their journals for language class. Also a large version included for students to glue in their writing notebook to refer back to during the writing process. Excellent 24 point rubric for Number the Stars that I used with my 5th grade class. Completely editable to your liking! This is a rubric for journal writing based on the Ontario Language curriculum expectations. 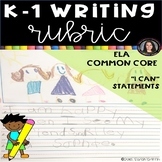 The rubric focuses on purpose, main idea, personal voice, sentence fluency and punctuation. There is some room for individual comments/observations of student for record keeping. 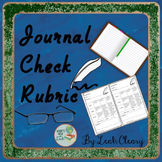 Rubric to use for scoring journal writing. Used to help students self-asses their journal writing and other student's journal writing. To be used after given a prompt for journal writing and completing a journal entry. Student fills out rubric for self and completes for another student's work. Finally growing tired of wondering how to assess students' writing more objectively, I created this simple rubric to keep myself on track, and to better clarify how to specifically assess student writing. 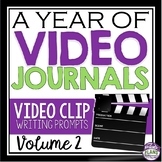 Do you want to make sure your students improve their journal writing entries? Then this rubric might be just what you need. Great for data collection!